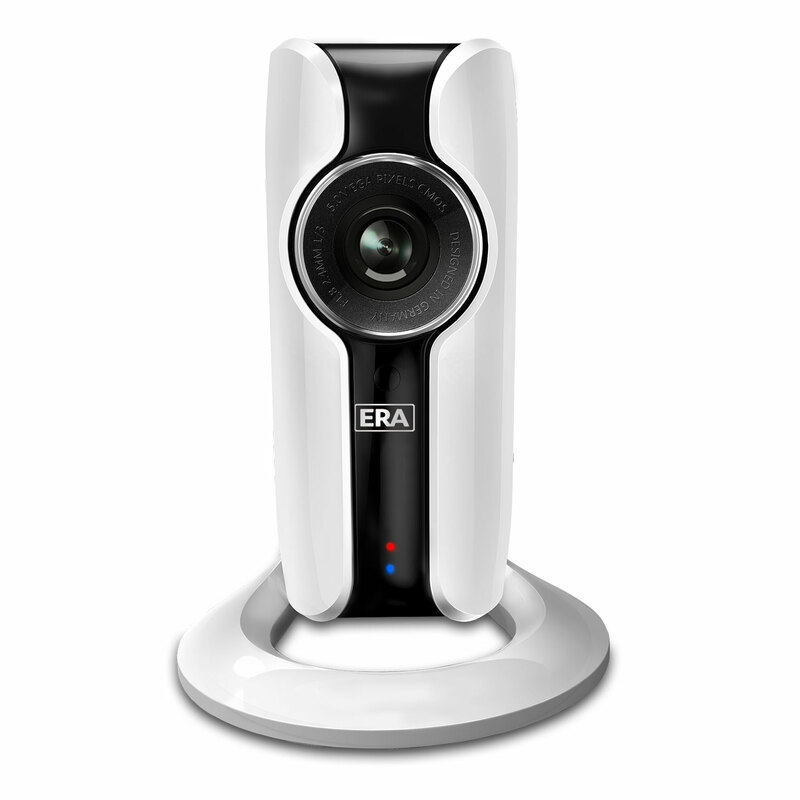 The ERA HomeCam WiFi Camera has enhanced motion detection and privacy features. Multiple cameras can be managed via the Free App and push notifications set for enhanced monitoring. The ERA HomeCam camera is compatible with both the HomeGuard Pro and Invincible alarm systems. Also available as a standalone solution if only visual detection is required via the Free App. Via the App, you get to see and hear what's going on in your property from anywhere in the world. The built-in microphone and speaker allows quality two-way audio communication, and the CMOS image sensor renders sharp video footage. The camera records HD video quality at 720p even at low light and has a Micro SD card slot that supports up to 32GB that records in a loop. Multiple cameras can now be viewed from one app allowing users to achieve monitoring across various places, motion detection can trigger a push or email notification to notify the user of activity where the camera is placed. Privacy mode means the camera will not record any data when in this mode allowing privacy of the user when required. The ERA HomeCam camera is cloud based meaning that over the air updates can be just a click away offering new features and benefits to the product going forward. To top this off we have a timeline slide bar where the user can swipe to a selected part of the video clip to allow quick and easy viewing of recordings.